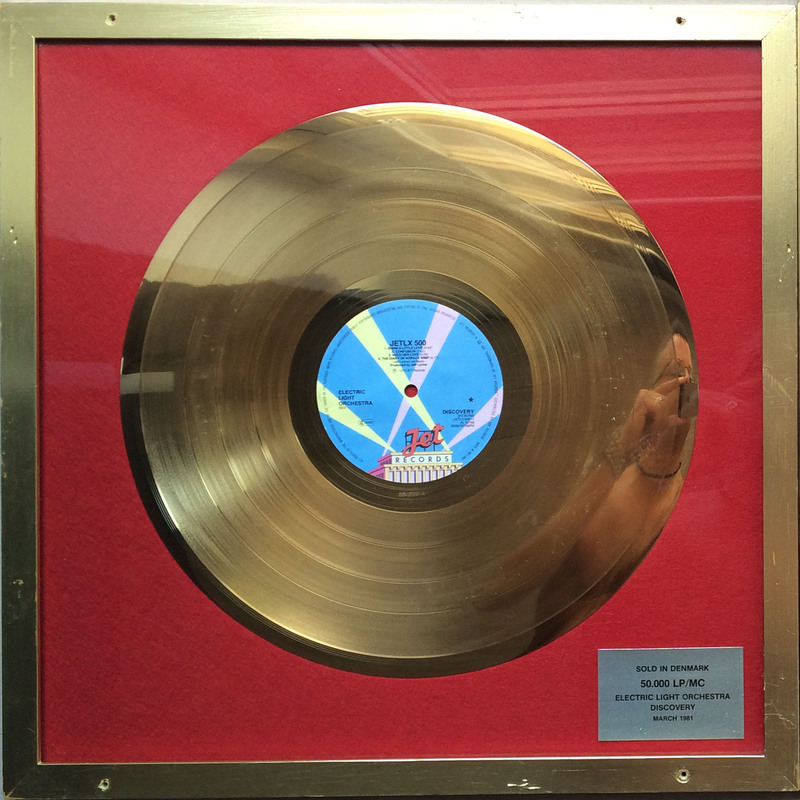 ELO Specialities: Discovery, gold record. In the 70s and 80s were two major record companies on the address in the Bogholder Allé in Vanløse, Denmark, namely CBS and Metronome ( they distriburede plates of Warner Brothers ), in the bacement of the building was a company GDC ( Gramophone dealers Distribution Central) in addition to to distribure plates for the two companies also distributed a few other when especially CBS had gold, silver and platinum records to spare, or simply lacked the wall space, these plates hung on the office time at GDC, after some years abandoned the two companies premises and only GDC was back. When GDC sometime in the 90s also had to vacate the premises, I (Tony Pape, www.tpmusik.dk) was approached and asked if I was interested in approximately 50 of these plates for about 50 kr. a piece (about 4 Euro). 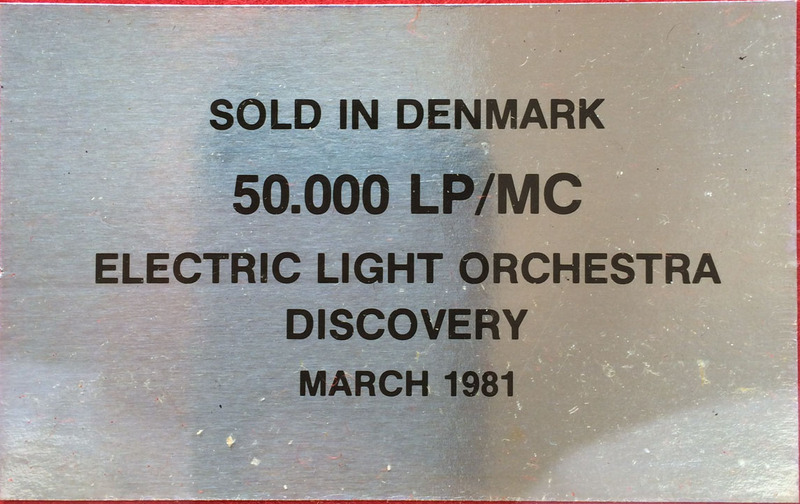 (the money would go to picnic box) I bought them all, and have used many of them for decoration in my shops, some have been lost, and some are given away or sold, I (Tony Pape, www.tpmusik.dk) have probably about 20 most silver plates back in writing ...(06-2015).